Wenzel Ez Rise Screen House - 73652615 Size: 9 Ft. 8 In. X 9 Ft. 8 In. Area: 93.4 Sq. Ft. Peak Height: 83 In. Weight: 10 Lbs. 2 Oz. 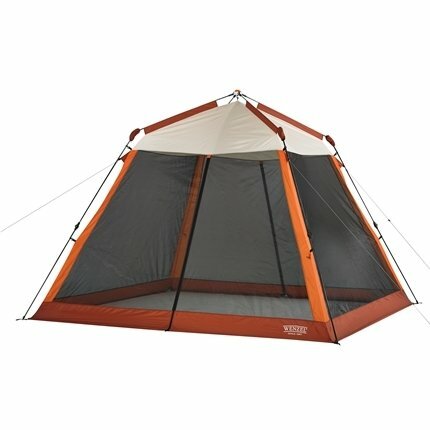 Canopy/Fly: Welded Polyethylene Packaged Size: 48 In. X 5.9 In. X 5.9 In. Doors: 2 Ez Rise Frame For Quick And Seasy Set Up/Take Down.